Who wants to get fit in 2019? Are you looking for a challenge? At Bay Hospital’s Charity we have the perfect event for you – The Keswick to Barrow (K2B) or Coniston to Barrow Walk (C2B). 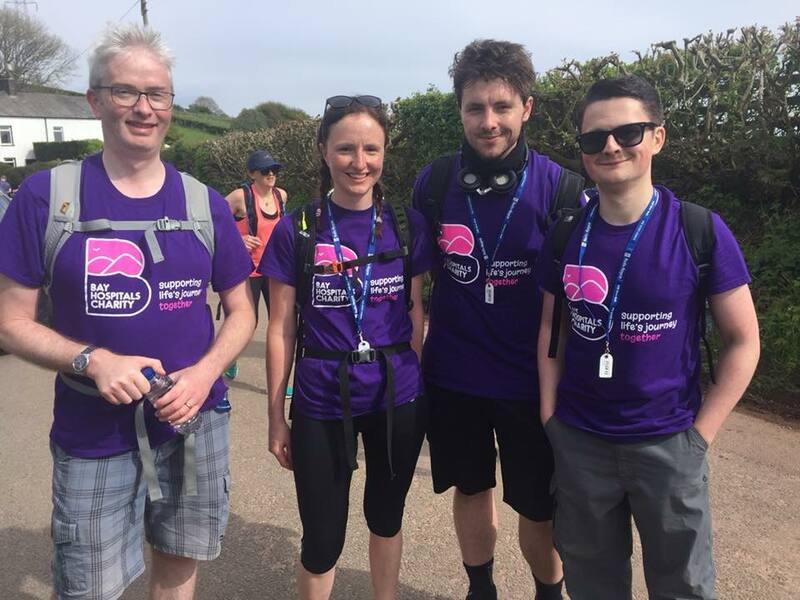 The K2B is a sponsored 40 mile walk – walking through some of the country’s most beautiful scenery whilst the C2B is a shorter 21 mile sponsored walk. We’re looking for teams of between 4 to 12 people to help raise funds for Bay Hospitals Charity. The money your team raises will help us to make our patients stay across Morecambe Bay Hospitals more comfortable and allows us to buy equipment, giving our clinical teams access to the latest state-of-the-art technology – allowing them to diagnose and treat patients quickly and more effectively. Team members pay a £10 non-refundable entry processing fee. Each walker needs to commits to raising £80 of donations (£40 for under 17’s). Registration is now open and the walk takes place on Saturday 11 May 2019. Please note, on 28 February 19 the £10 Early Bird Registration Fee reverts to a £20 Registration Fee. If you are interested in taking part, please contact Heidi Bowron, Charity & Membership Engagement Coordinator at Furness General Hospital on: heidi.bowron@mbht.nhs.uk or by calling: 01229 404473.